Sercan Sararer has been one of the driving forces behind SpVgg Greuther Fürth's stunning ascent to the Bundesliga. The German-born attacking midfielder with both Turkish and Spanish roots has been a first-team regular for the past two seasons and scored nine times in their successful promotion campaign. Born in Nuremberg on 27 November 1989, Sararer's first club was 1. FC Röthenbach, whom he left in 2000 to join the youth team of Fürth. He steadily progressed through the ranks and, after an impressive season in the reserves that yielded ten goals, made the leap to the first team in time for the 2008/09 season. Signing his first professional contract didn't daunt the then-18-year-old at all and he made his senior debut against regional rivals 1860 Munich in October 2008. months later with his first senior goal in a 1-0 win away at FSV Mainz 05. A combination of pace, trickery and superb crossing ability made him the perfect foil for the club's forwards as Fürth stormed to the 2012 Bundesliga 2 title, amply evidenced by his tally of 13 assists. He also chips in with more than his fair share of goals, including four in the club's run to the DFB Cup semi-finals, where they were beaten in extra time by eventual champions Borusia Dortmund. 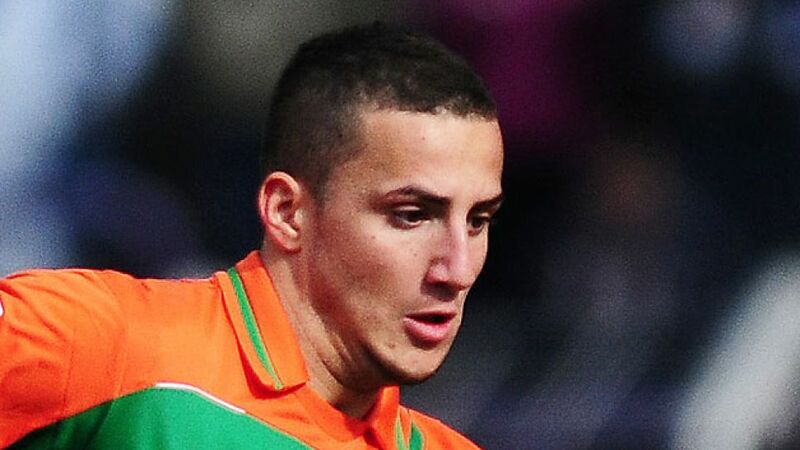 Sararer has played four times for Turkey to date since making his senior international debut on 24 May 2012 in a friendly against Georgia.